The revelation of the Odebrecht list of contributions to electoral candidates comes as no surprise to anyone and confirms that private-sector firms spend lavishly to influence policymaking in Brazil and elsewhere. 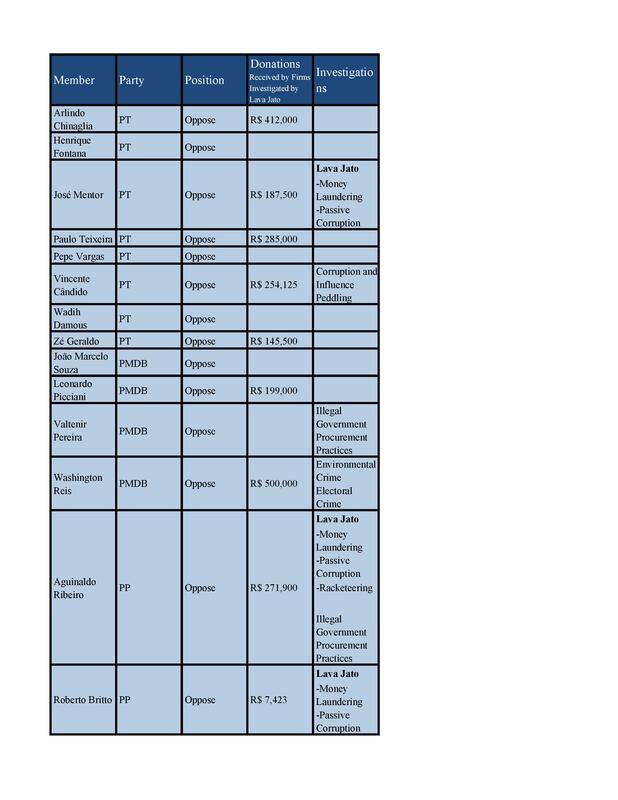 We still do not know which contributions were legal and which were not, but this list is noteworthy because it fits within a broader pattern of illegal and questionable campaign contributions paid by many of Brazil’s leading construction firms and government contractors. These campaign finance practices have been suspected for years, but are now uncovered in detail by the Lava Jato operation taskforce. Under the Lava Jato corruption scheme, Petrobras contractors engaged in “pay to play” procurement schemes to trigger kickbacks that were then divided among political parties to finance campaigns and intermediaries for personal enrichment. One more piece of the puzzle, the Odebrecht list bolsters the argument that Brazil’s representative institutions are compromised by pervasive political corruption that places money and power above democracy. Nowhere is this argument more relevant than in the presidential impeachment process wherein the House of Deputies’ Special Impeachment Commission will decide whether there is sufficient merit to send impeachment charges to the lower house for a floor vote to move the process to the Senate for judgment. The commission includes party members who have received legal donations (and possibly illegal contributions as well) from private firms directly involved in the Lava Jato corruption scheme as well as members who are under investigation for political corruption and illegal electoral activities, including the Lava Jato operation. Most Brazilian political parties, whether they support or oppose impeachment, have received legal campaign contributions from the construction firms under active investigations by the Lava Jato operation taskforce. Moreover, most of these firms are the largest contributors to the campaigns of the members of the House of Deputies. Ranked according to their contributions to Chamber of Deputies members, Lava Jato-implicated firms include Andrade Guiterrez (second), Construtora OAS (third), Queiroz Galvão, S.A. (fourth), and Norberto Odebretcht (sixth) and UTC Engenharia (seventh). Aside from the illegal contributions made through the Petrobras pay-to-play scheme at the center of the Lava Jato operation, implicated firms play a central role in the financing of most political parties in Brazil and the campaigns of hundreds of senators and deputies. Nearly three-quarters of the total legal campaign contributions made by the Lava Jato firms were paid to the three largest political parties and their candidates, the Workers Party (PT), the Party of the Brazilian Social Democracy (PSDB), and the Party of the Brazilian Democratic Movement (PMDB) during the 2014 presidential and congressional elections. The PT received the most contributions from these firms due to the size of its congressional delegation and its influential role in President Dilma Rousseff’s first term (2011-2014). The PT opposes impeachment, the PSDB supports it and is the principal opposition party in Brazil’s Congress. It is the PMDB that will decide whether to leave the government coalition and free its congressional representatives to vote for impeachment this week. 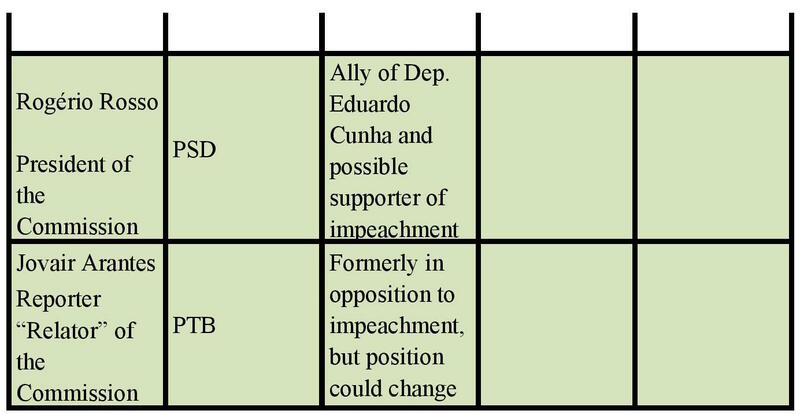 Regardless of their position on presidential impeachment, both parties enjoy intimate financial and political relationships with the Lava Jato-implicated firms. This singular fact is disturbing given the huge role these construction firms play in the expansion of Petrobras’ exploration and production projects as well as in the federal and state governments’ responsibilities for the contracting of infrastructure construction. These relationships directly impact the composition of the Chamber of Deputies’ special impeachment commission. Thirty-nine of its 65 members have received legal contributions from firms implicated in the Lava Jato operation. Annex 1 below, The Chamber of Deputies’ Special Impeachment Commission,” reports the total amounts of legal, reported campaign contributions made by Lava Jato firms to the commission’s members as well as pending criminal investigations of commission members, including those directly linked to the Lava Jato corruption scheme. Commission members receiving the largest totals are associated with both opposition and support for presidential impeachment. The leaders of the commission, Chair Rogério Rosso (PSDB) and Reporter Jovair Arantes (PT), are officially undecided, have not received any legal campaign financing from the Lava Jato firms, and are not under any criminal investigations. However, Rosso is a close ally of Deputy Eduardo Cunha (PMDB) who is president of the Chamber of Deputies and a proponent of impeachment. Among commission members who currently oppose impeachment and received large donations from Lava Jato-linked firms, Washington Reis of the PMDB received 500,000 reais (approximately 3.7 reais to $1 USD), José Rocha of the Partido da República (PR) received 494,407, and PT’s Arlindo Chinaglia received 412,000. Among commission members who currently favor impeachment and received large donations from Lava Jato-linked firms, Lúcio Viera Lima (PMDB) received the most of any commission member with 732,000 reais, Jutahy Junior of the PSDB received 531,875, Nilson Leitão (PSDB) received 511,550, and Paulo Abi-akel (PSDB) received 435,000. Edio Lopes (PR), who appears undecided on the question of impeachment, received 680,732 reais for the 2014 election. These contributions do not determine whether commission members favor or oppose impeachment but cast a shadow over the commission’s deliberations and call into question these deputies’ dependence on corporate campaign donations and the consequent “accountability gap” that distances them from their electoral constituencies. The gap is made worse by the criminal investigations (most based on corruption and election crimes) of members of the impeachment commission. Twenty-six percent of the 130 members (voting members and their substitutes) are currently under investigation. Nineteen voting members are charged with various forms of political corruption and electoral crimes. These include José Mentor (PT), Aguinaldo Ribeiro (PP), Roberto Britto (PP), and Jerônimo Goergen (PP), all under active investigations by the Attorney General for influence peddling through the Lava Jato corruption scheme. This toxic infusion of political corruption mixed with suspicious campaign contributions paid by Lava Jato-linked firms sours the legitimacy of Brazil’s Congress and poisons the integrity of the special impeachment commission during such a critical moment for Brazilian democracy. The commission is now authorized to investigate whether President Dilma was in violation of the federal Fiscal Responsibility law in 2014 when her government delayed payments (known as “pedaladas”) to the government-owned banks (Caixa Economica and Banco do Brasil) thereby forcing these public financial institutions to use other funds to cover the federal government’s social security and welfare obligations to beneficiaries. President Dilma’s government claims these fiscal manuevers were legal and did not violate the Fiscal Responsibility Law or the successive budget laws approved by Congress, but President Dilma signed an executive order after her re-election that prohibits this practice for the rest of her term. The federal council of Brazil’s counterpart to the American Bar Association (the Brazilian Order of Attorneys or OAB) plans to introduce another petition of impeachment that goes beyond possible violations of the Fiscal Responsibility Law to include obstruction of justice related to the Lava Jato investigations. By a 3-2 vote the federal council of the OAB also decided that the Dilma government’s fiscal “pedaladas” in 2014 did not constitute an impeachable offense. If the OAB’s petition is accepted, the impeachment commission will decide which petition (or elements) to consider and whether the focus will be on fiscal policy or the Lava Jato investigation. Along with the OAB, public efforts are underway to justify and push the president’s impeachment. Recently, the popular Istoé magazine published an article detailing the “7 Crimes” of President Dilma, and the organization Vem Pra Rua promotes its “Impeachment Map” website to identify congressional representatives’ public positions on impeachment and mobilize supporters to pressure undecided deputies and senators to support impeachment. Presidential impeachment in Brazil is both a constitutional and political process that hinges on the legitimacy of Congress as a representative institution and the accountability of its members. There are growing questions about the president’s role in the Petrobras pay-to-play kickback corruption scheme and the possibility that she may have obstructed justice. These feed into the opposition media narrative that fuels the growing popular mobilization demanding impeachment. 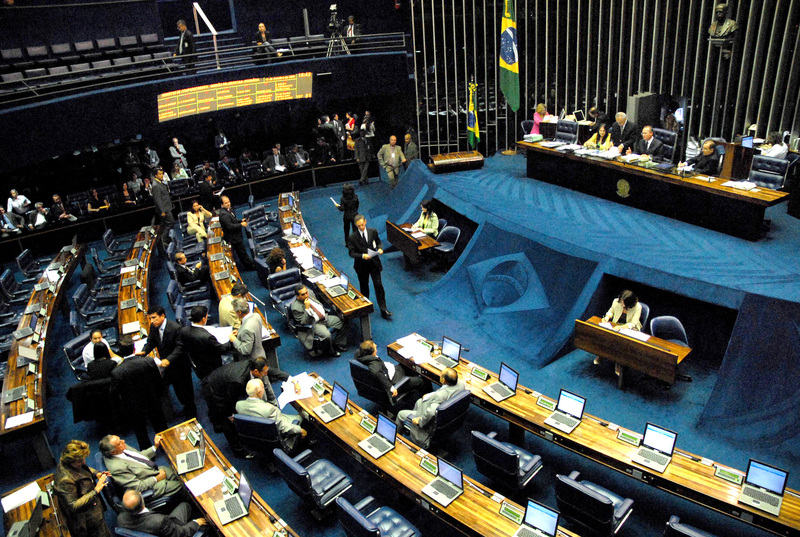 However, increasing numbers of jurists, academics, and civil society leaders are calling into question the legitimacy of Brazil’s Congress and the special impeachment commission given the large numbers of senators and deputies under investigation, including the presidents of both chambers, and the revelation that most parties rely on corporate contributions to get their members elected to Congress. Congress may muster enough votes to impeach the president, but members also risk attracting more limelight to their own questionable campaign contributions and dubious policymaking practices. Will President Dilma’s impeachment lead Congress to formulate and pass rigorous anti-corruption measures, including whistleblower protections and political reforms that go beyond banning corporate campaign donations, or will the president’s political opposition simply use executive power to sweep most misconduct under the rug? Featured Photo: National Congress Palace Brasília, Federal District, Brazil. Taken from Wikipedia. Table Sources: Câmara dos Deputados. “Confira os deputados eleitos para a comissão especial do impeachment.” March 17, 2016 and accessed at: http://www2.camara.leg.br/camaranoticias/noticias/POLITICA/505529-CONFIRA-OS-DEPUTADOS-ELEITOS-PARA-A-COMISSAO-ESPECIAL-DO-IMPEACHMENT.html. Carlos Madeiro. “Maioria da comissão do impeachment recebeu doações de empresas da Lava Jato.” UOL Noticias. March 18, 2016 and accessed at: http://noticias.uol.com.br/politica/ultimas-noticias/2016/03/18/maioria-da-comissao-do-impeachment-recebeu-doacoes-de-empresas-da-lava-jato.htm?cmpid=fb-uolnot. Fernando Rodriques. “Comissão do Impeachment tem 31 contra Dilma e 28 a favor.” UOL Noticias. March 17, 2016 and accessed at: http://fernandorodrigues.blogosfera.uol.com.br/2016/03/17/comissao-do-impeachment-tem-31-contra-dilma-e-28-a-favor/. Edson Sardinha. “Deputados da comissão do impeachment sob investigação.” Congresso em Foco. March 18, 2016 and accessed at: http://congressoemfoco.uol.com.br/noticias/deputados-da-comissao-do-impeachment-sob-investigacao/. Vem Pra Rua. “Mapa do Impeachment.” Accessed on March 25, 2016 at: http://www.mapa.vemprarua.net/. Beirangê, Henrique. “Vazamento da “superlista” da Odebrecht é novo mistério na Lava Jato.” Carta Capital. March 23, 2016 and accessed at: http://www.cartacapital.com.br/blogs/direto-de-sao-paulo/vazamento-da-superlista-da-odebrecht-e-novo-misterio-na-lava-jato. For more on the Lava Jato operation taskforce and its investigations see Mark S. Langevin. “Brazil’s Compounding Crisis.” Council on Hemispheric Affairs. March 22, 2016 and accessed at: http://www.coha.org/brazils-compounding-crisis/; Esther Fuentes. “Who is Who in Brazil’s Complicated Lava Jato Corruption Allegations?” Council on Hemispheric Affairs. March 17, 2016 and accessed at:http://www.coha.org/who-is-who-in-brazils-complicated-lava-jato-corruption-allegations/; and Global Investigations Review. “Investor’s Guide to Brazil.” Accessed at: http://globalinvestigationsreview.com/edition/1000025/investigators-guide-to-brazil/page/5. Fundação Getulio Vargas-Departamento de Analise de Políticas Públicas (FGV-DAPP). Transparência Política-Câmara. Accessed at: http://dapp.fgv.br/transparencia-politica/camara-transparente/#camara. It is important to note that JBS, the Brazilian animal protein company, provided the largest sum of legal campaign contributions to Federal Deputies and their parties in 2014. Meu Congresso Nacional. “Empresas relacionadas na Operação Lava Jato.” Accessed on March 25, 2016 at: http://meucongressonacional.com/lavajato/empresas. Lolando Lourenço. “Comissões, impeachment e posicionamento do PMDB são principais temas da semana.” Agência Brasil. March 28, 2016 and accessed at: http://agenciabrasil.ebc.com.br/politica/noticia/2016-03/formacao-de-comissoes-impeachment-e-posicionamento-do-pmdb-sao-principais. Edson Sardinha. “Comissão do impeachment tem 34 investigados no STF.” Congresso em Foco. March 18, 2016 and accessed at: http://congressoemfoco.uol.com.br/noticias/comissao-do-impeachment-abriga-investigados-no-stf/. Déborah Cruz. “AGU diz que governo não violou Lei de Responsabilidade Fiscal.” Globo.com Economia. October 7, 2015 and accessed at: http://g1.globo.com/economia/noticia/2015/10/agu-diz-governo-nao-violou-lei-de-responsabilidade-fiscal.html. Brenno Gillo. “OAB cita grampos de Lula e pedaladas fiscais em pedido de impeachment.” Consultor Jurídico. March 24, 2016 and accessed at: http://www.conjur.com.br/2016-mar-24/oab-cita-grampos-lula-pedaladas-pedido-impeachment. Sérgio Pardellas. Os 7 Crimes de Dilma.” Istoé. March 25, 2016 and accessed at: http://www.istoe.com.br/reportagens/449533_OS+7+CRIMES+DE+DILMA?pathImagens=&path=&actualArea=internalPage. Vem Pra Rua. “Mapa do Impeachment.” Accessed on March 25, 2016 at: http://www.mapa.vemprarua.net/. Vladimir Safatle. “Um glope e nada mais.” Folha de São Paulo. March 25, 2016 and accessed at: http://www1.folha.uol.com.br/colunas/vladimirsafatle/2016/03/1753928-um-golpe-e-nada-mais.shtml. Among the rising numbers of academic and civil society leaders and organizations making public statements in opposition to presidential impeachment is the Association of Brazilian Non-Governmental Organizations (ABONG) that published a note denouncing impeachment efforts. See ABONG. “NOTA PÚBLICA | É momento de resistência democrática!” March 17, 2016 and accessed at: http://www.abong.org.br/notas_publicas.php?id=9570. For more on the Brazilian congress and whistleblower protections see Mark S. Langevin. “Whistleblower Legislation in Brazil Já,” BrazilWorks. June 3, 2015 and accessed at: http://www.brazilworks.net/analysis/1750. For more on the September 2016 political reform see Clara Langevin and Mark S. Langevin. “Towards Accountability? Corruption and the September 2015 Political Reform in Brazil. BrazilWorks Briefing Paper. 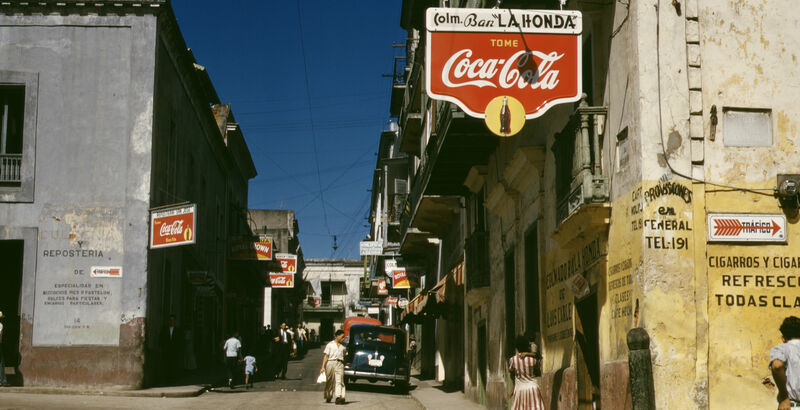 November 2015 and accessed at:http://static1.squarespace.com/static/559484e4e4b0359276bd82c0/t/564b427ce4b03447e6283964/1447772796010/BrazilWorks+Briefing+November+2015.pdf.